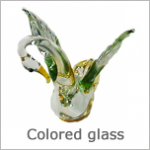 Product Category of Miniature Hand Blown Glass Animal Figurines. They are seperated by the type of glass (clear or colored), style (gilt or not), and/or painting (hand painted or not). 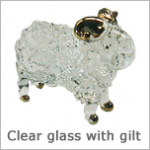 Hand Blown Glass Animal Figurines are made from Clear Glass. However, each is hand painted with various color. It looks colorful and beautiful. Feel charming. 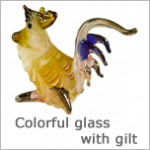 Hand Blown Glass Animal Figurines are made from clear Glass and colored Glass. Color comes from the Glass itself. No hand painted for this type. It is another classic style that looks cool. Feel simple but valuable. 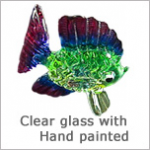 Hand Blown Glass Animal Figurines are made from clear Glass and colored Glass. Also, each is trimmed with gold and hand painted with various color. It looks colorful and attractive. Feel captivating. Lovirian provides all natural handmade products to you. 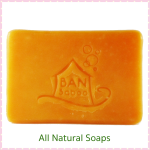 The products now are all natural herbal handmade soaps. No chemical residue after using.